blueEHR allows you to customize the charts and workflows, simply. 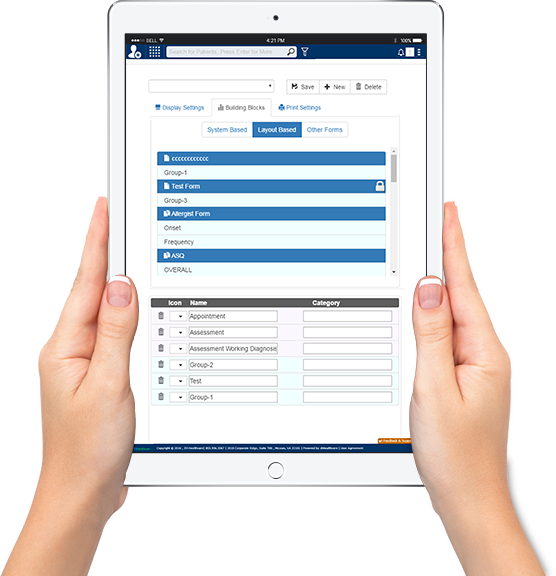 With blueEHR, you get ability to customize the EHR to your own needs, and with the custom forms builder and workflow management system, you can even personalize to the individual physician or user. With drag and drop technology, and near infinite possibilities using the custom rules engine for clinical workflows, you could simply chart and document visits and encounters as you want, in the way it happens in your practice. blueEHR puts you in control of your workflow. With blueEHR, you are no longer restrained by the legacy of your EHR. Some EHRs in the market are built on legacy code or technology, and fixes are done by bolting on features – but that never fixes the underlying issues; it hides it. 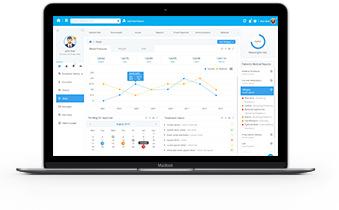 blueEHR was built with the user in mind; in fact, we worked with physicians and healthcare provider clients around the world to ensure that blueEHR meets the needs today while being built in a way that a practice manager or physician can drag, drop, recreate or customize workflows. We are committed to making healthcare technology accessible and affordable - and to make the entire EHR experience simple. Contact us today to learn how blueEHR can help your practice to grow efficiency and adoption with customizable, intuitive charting that allows healthcare providers to get back to the business of providing care. No hardware worries. No software concerns. Security is covered too. The blueEHR platform is certified and fully compliant. blueEHR solutions are used by tens of thousands of providers and practices, health systems and technology companies to enhance EHR or deploy custom health IT solutions that improvequality of care and patient outcomes, and engage millions of patients worldwide.